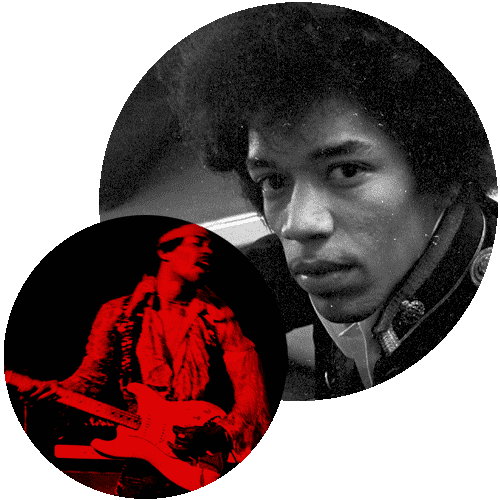 The 2011 edition of the Experience Hendrix concert tour, presented by Fender guitars, launched in May 2011 with an all-star lineup of musical greats paying homage to the abiding genius of Jimi Hendrix. This year's tour will include performances by Billy Cox, Steve Vai, Robert Randolph, Jonny Lang, Kenny Wayne Shepherd, David Hidalgo & Cesar Rosas [Los Lobos], Keb' Mo, Eric Johnson, North Mississippi All Stars, Brad Whitford [Aerosmith], Living Colour, Ernie Isley, Chris Layton [Stevie Ray Vaughan & Double Trouble], Indigenous and many additional special guests. Experience Hendrix bassist Billy Cox — who first befriended Hendrix in the 101st Airborne Division of U.S. Army, played in both the Jimi Hendrix Experience and Band of Gypsys and performed with Hendrix at such landmark festivals as Woodstock and the Isle of Wight — is delighted to play a part in the current tour saying,"It's a thrill for me to play Jimi's music for audiences now as it was in the 1960s."